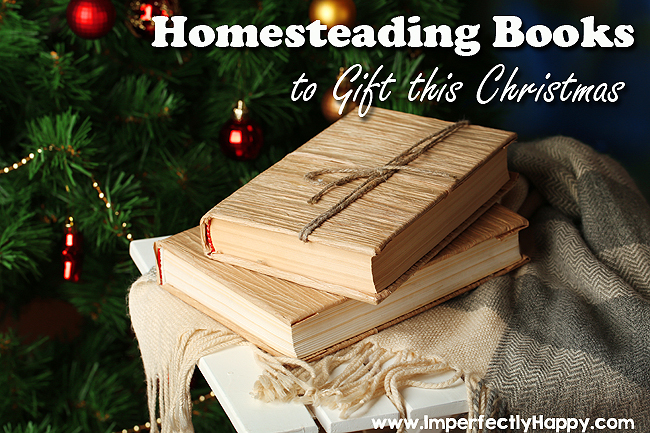 One of my favorite gifts are book, especially homesteading books. I have quite a homesteading book reference library now; I love it. With the holiday season in full swing I thought I would share some books that you might want to gift your homesteader this Christmas…or ones to ask for. 😉 It is hard to narrow down my favorite homesteading books into one list but I think these are definitely at the top. I have grouped them into a few different categories to help you. So without further ado….let’s get to the list! Little House in the Suburbs – I sat on the floor of Barnes and Noble and read the book. So much information geared for those homesteading in the burbs. Self-Sufficient Life – I got this book last Christmas and I’m STILL getting new stuff out of it. Even if you don’t live a self-sufficient life yet…you’ll want this book! Country Living Talk about a reference book – this encyclopedia is full of information and tips that people have been using for hundreds of years. And you don’t have to live in the country to enjoy this! The Modern-Day Pioneer – A great book for the pioneer wanna-be! Backyard Farming – The author, Angela is living the life of a backyard homesteader. She has a ton of practical advice that we can put into practice right away. Gardening for Geeks – Hands down one of my favorite gardening books – especially when I want to geek out! 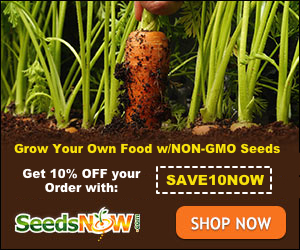 I love Square Foot Gardening – maximum results from any space! The Rodale Book of Composting – A reviewer on Amazon said this book was “worth its weight in manure”…I couldn’t put it better than that. Natural Pest and Disease Control – If you are, or want to be, organic gardening then you’ll need want to know how to deal with pests naturally. Fresh Eggs Daily (the book) – The Blog Fresh Eggs Daily‘s Lisa Steele’s knowledge of herbs for your chickens is enough reason to buy this book. But there is so much more! Small-Scale Poultry Flock – Beautiful book on raising poultry in a natural and healthy way. One I refer to often! The Backyard Goat – How to raise dairy goats, right in your backyard…it isn’t just for chickens! The Meat Goat Handbook – You’d be surprised how great goat meat is. If you’re looking into it you’ll need a good reference book. Backyard Meat Rabbits – A great book to give you the basics on raising meat rabbits right in your backyard. Butchering – Personally, I recommend learning hands-on with a mentor; but this is a great reference guide. Nourishing Broth – We all need to be making and consuming more broth. This book shows you the whys and hows. Ball Complete Book of Home Preserving – The only canning book you’ll ever really need! Not just recipes but information on how to can too. From Scratch – Blogger Shaye Elliot of The Elliott Homestead knocks it out of the park with this one. More than just recipes – it is a way of life for her and the book. Medicinal Herbs – A great place to start your medicinal herb collection. Prescription for Nutritional Healing – I have had this book (earlier edition) since 1995 and still find it an invaluable resource. Folks This Ain’t Normal – Or pretty much anything by Joel Salatin. Ok, let me admit that I have a magazine addiction. I won’t bore you with a description of each one but they are all worth a check out and subscription!